To celebrate the launch of Green Sefton, team members will be taking part in a mass clean-up of waterways, canals and coastal areas for World Oceans Day on June 8. They will explain the work they will do, from land management and community engagement to vital work surveying the changing shape of Sefton’s coast and what this means to residents and visitors. Cllr Ian Moncur, Sefton Council’s Cabinet Member for Health and Wellbeing, said: “Sefton is a clean, green and beautiful borough that is internationally recognised for its natural beauty and we will build on this through the work of Green Sefton. “Green Sefton has been created to make sure we continue our focus on a collaborative approach to the management, development and oversight of our beautiful coastline, parks and green spaces. 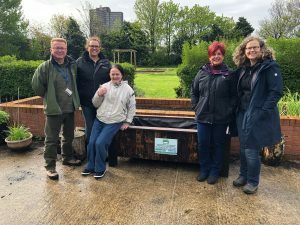 “We believe this will also encourage more community cohesion, more involvement with our volunteers and residents, as well as eco organisations. “This event is a fantastic opportunity for people to learn more about the wonderful work Green Sefton will be doing. For updates on Green Sefton events, activities and partnership opportunities, check out Sefton Council’s social media channels. For more information about World Oceans Day visit www.worldoceansday.org.